Vår lägenhet ligger direkt på stranden. bara några steg från dina skjutdörrar kommer dina fötter att vara i sanden. Vi är bekvämt beläget i byggnad D närmast poolen. Direkt framför lägenheten är fantastisk snorkling, den här stranden är stenig så att du bär vattenskor. Den "badande" stranden ligger en kort promenad till vänster. Very relaxing, bar w food and breakfast! Sapphire is the perfect spot on the island. Amazing views, amazing beach, restaruant and drinks on site. The grounds are kept up daily and everyone is friendly. Highly reccomend staying here! Very close to red hook to do a little shopping and food as well. Just so lovely to be able to walk out the back door right onto the beach. Our side of the beach was a bit rocky for swimming, which was NOT a negative. It meant we had the quiet side, except for the pool area. The swimming side was clean and lovely too. Snorkeling was better than most places on the island ! It was all that we could have asked. The condo is perfect (with the exception of a couple of minor a/c problems). The location is great - step off the porch on to the beach. We had the time of our lives. Were so glad you enjoyed your stay. You were great guests! We hope you can Come back again. This was a great place to stay. The view right out the sliding doors is breath taking! 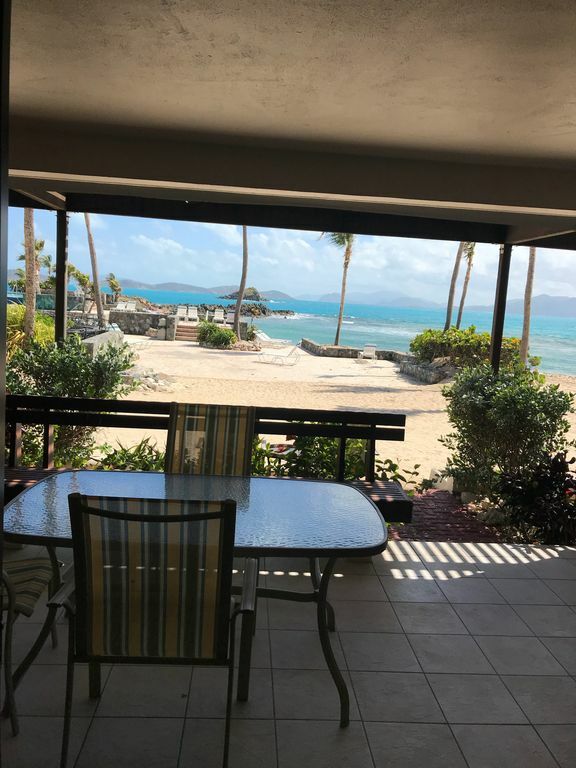 It was nice to have the option of staying close to the condo at the pool to relax or if you wanted a little more action you could walk a few yards to the Sapphire Beach Bar. The condo was very nice and clean, no issues what so ever. There is a taxi service right there. Grocery store and restaurants are near by.